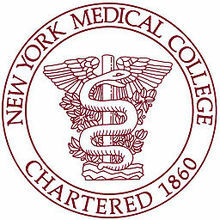 New York Medical College consists of three schools—the School of Medicine, the Graduate School of Basic Medical Sciences and the School of Health Sciences and Practice. The College was founded in 1860 by a group of New York City civic leaders led by the noted poet, editor and orator William Cullen Bryant, who was concerned with the primitive conditions of hospitals and medical education at that time. Today, with more than 1,400 students, 1,338 residents and clinical fellows, more than 3,000 faculty members, and 12,706 living alumni, New York Medical College is one of the largest private health sciences universities in the nation. We are a national leader in educating some of the most highly skilled and sought-after primary care physicians. We sponsor one of the largest Graduate Medical Education programs in the country. Our network of affiliated hospitals, including large urban medical centers, small suburban hospitals, and high-tech regional tertiary care facilities, afford outstanding clinical training opportunities for medical students and residents in the tri-state area. We serve as the academic health sciences center and principal academic public health resource for eight county health departments in New York's Hudson Valley region, one county health department in central New York, and one county health department in southwestern Connecticut, a catchment area more populous than twenty states. Our researchers and physicians play a leadership role in preventing, diagnosing, and treating significant and emerging public health threats including cardiovascular and renal disease, infectious disease, cancer, and the neurosciences, with a concentration in Lyme disease, hypertension, Parkinson's disease, melanoma, hepatitis C, and toxoplasmosis. In the public health arena, the College contributes expertise and leadership in disaster management, including psychiatric illnesses and stress related to trauma, disaster and terrorism. Continuing Medical Education programs provide physicians and other healthcare providers with the resources to advance their medical skills and knowledge. In the 2007-08 academic year, 469 faculty members published 1,018 books, chapters, journal articles, editorials, reviews and letters. More than 12,000 alumni reside in all 50 states and the District of Columbia, as well as 2 territories and 4 foreign countries, where they provide superior medical care, perform cutting-edge research, hold leadership positions at prestigious institutions, and train tomorrow's healthcare professionals at many of the top academic health centers and schools of medicine in the U.S.